YAK UK Ltd is pleased to be appointed SKYJAM’S dealer for the UK. ST-LIZARD… OUR LIGHTEST ELECTRIC PARAMOTOR. 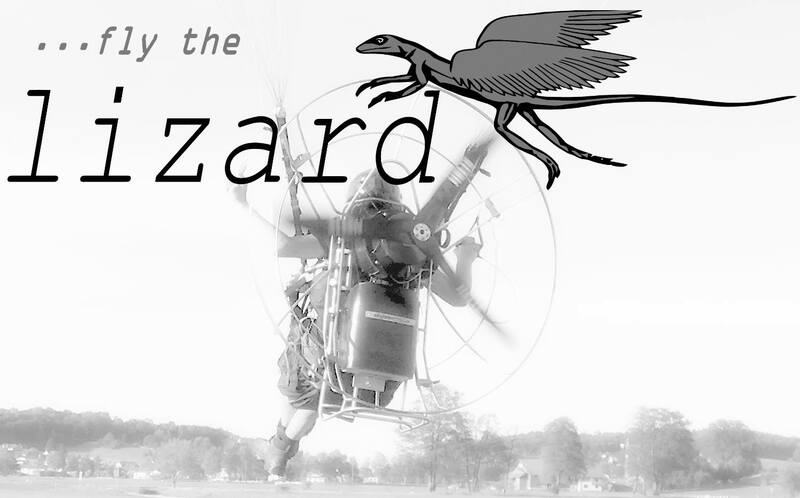 Our new lightweight electro-paramotor ST-Electro Lizard is the result of a consistent two-year development. The goal was to build a lightweight, powerful yet safe engine. In 2014 we replaced the 24AH battery with a 50AH battery in our successful ST-Electro. From January 2015 onwards, the ST-Electro is equipped with the BMS (battery management system). This dramatically increased the flight time, but we also had wishes from pilots to create the lightest version of the electromotor for a lower price. 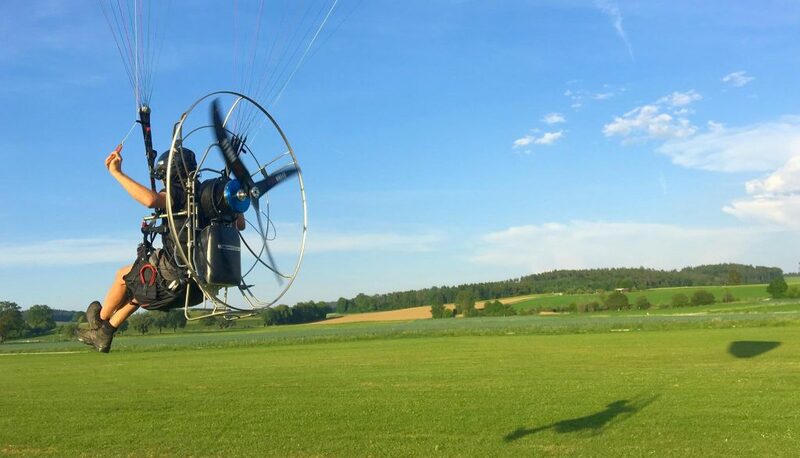 This model similar to the previous engine has been designed primarily as a help to get the thermals or go soaring, but can also be used as a normal paramotor for light pilots. In addition, the battery capacity can be doubled by an additional battery which can be added in a few moments. The Lizard does not replace his older brother, the stronger ST-Electro with 50AH battery. 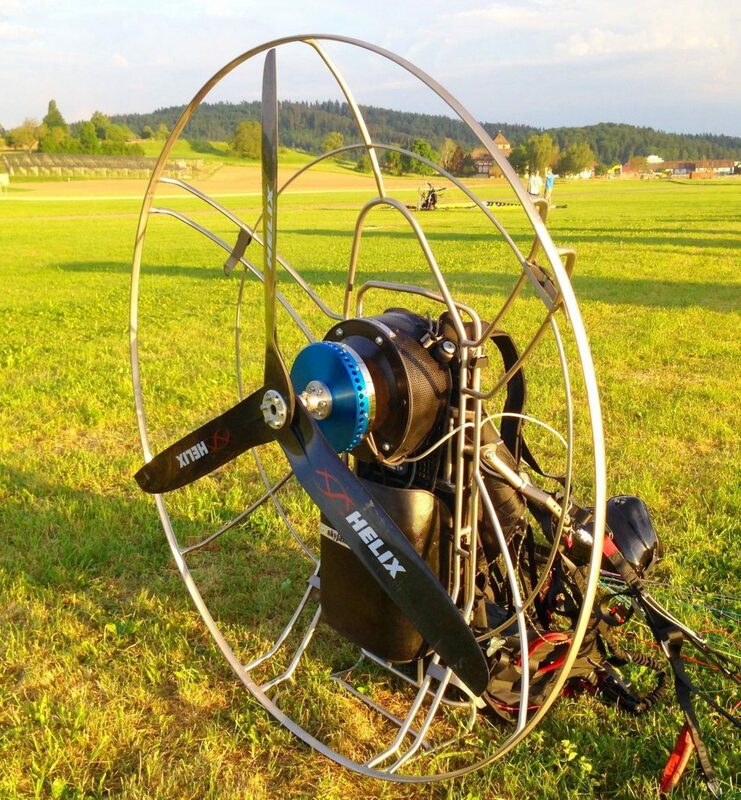 This remains equipped with the most modern technology of BMS, the right choice for pilots above 90kg and also for the pilots who want to fly with our trike. Reverting to the old components was out of the question. In 2008, the original device weighted 35kg with 24AH battery and had no longer met our high technical standards. For temperature reasons, it was not technically possible to halve the new battery unit of the 50AH. Thus, a completely new concept was developed during two years and it was successfully brought to the production stage. The result is a paramotor, which is lighter than the ST-Electro with 50AH battery by almost 13kg. The complete engine suspension, the configuration and programming of the electrical and electronic elements, the cooling of the battery and the lighter frame concept of the new alignment have been consequently adjusted. Thus, in the case of a moderate flight mode, also the significantly lighter battery can be flown out. The harness (with airbag and integrated rescue container) and the glider suspension have not been compromised to preserve the high pilot’s safety. So they stayed the same as at the ST-Electro. 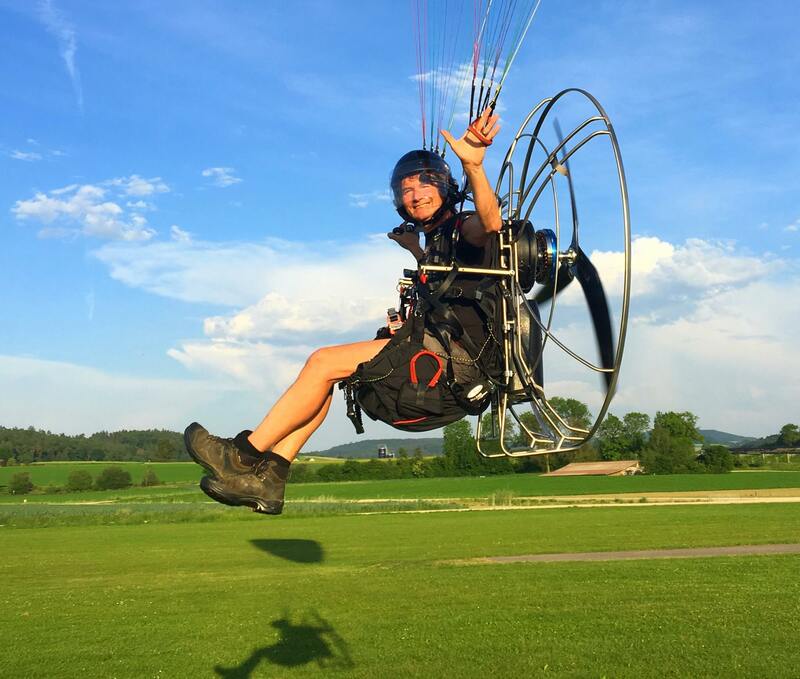 The frame is, as in all our paramotors, made of titanium. It has been completely redesigned for the new lighter concept and optimized by more than 10% in terms of weight. At the same time, the passive safety of the pilot was always preferred to the weight reduction at any price. 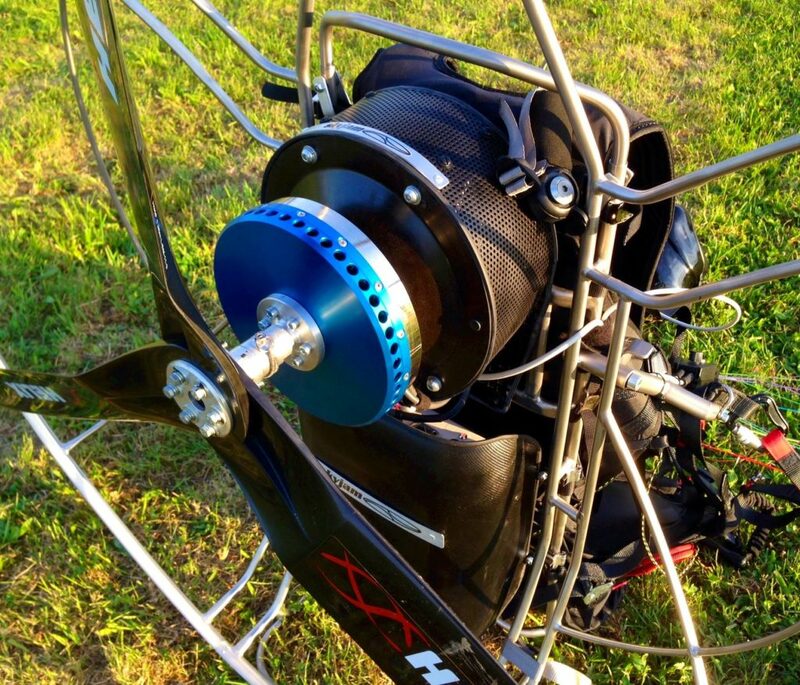 Contact Mark Jefferies for a demonstration and trial flight. 07785 538317.